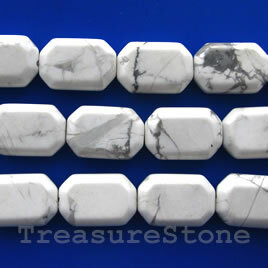 Bead, white howlite, 15x23mm flat rectangle. 16-inch strand. 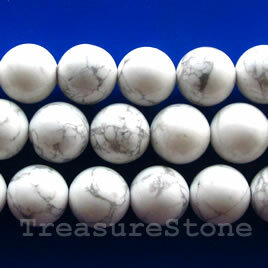 Bead, white howlite, 4mm round. Sold per 15.5-inch strand. 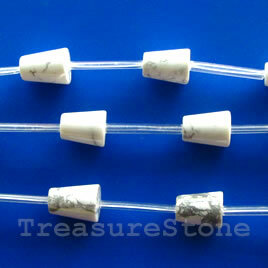 Bead, white howlite, 8x10mm. Sold per pkg of 15 beads. 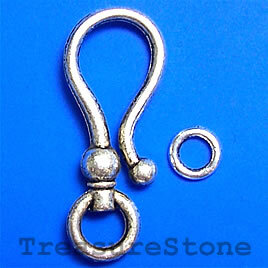 Clasp, hook-and-eye, silver-finished, 15x37mm. Pkg of 3.